Well well! It seems that the longer you stay away, the harder it is to get back into it! 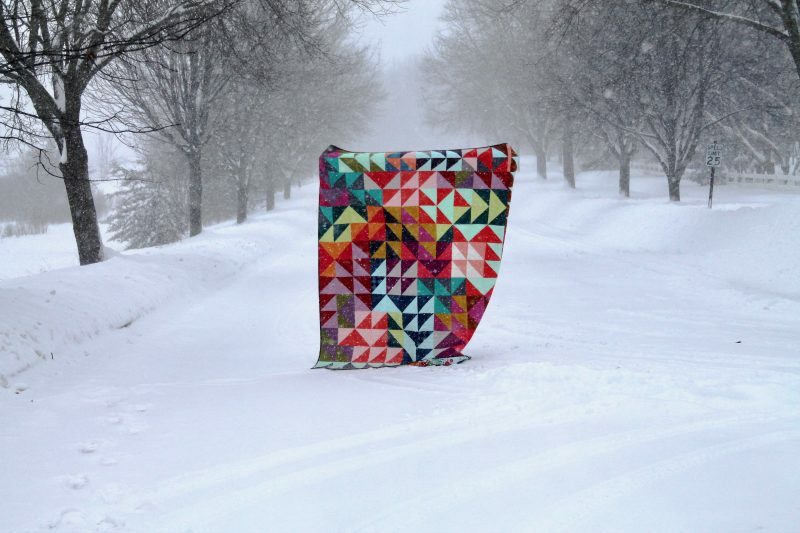 But look — here I am, and even with a finished quilt that I saved specifically for a snowstorm. 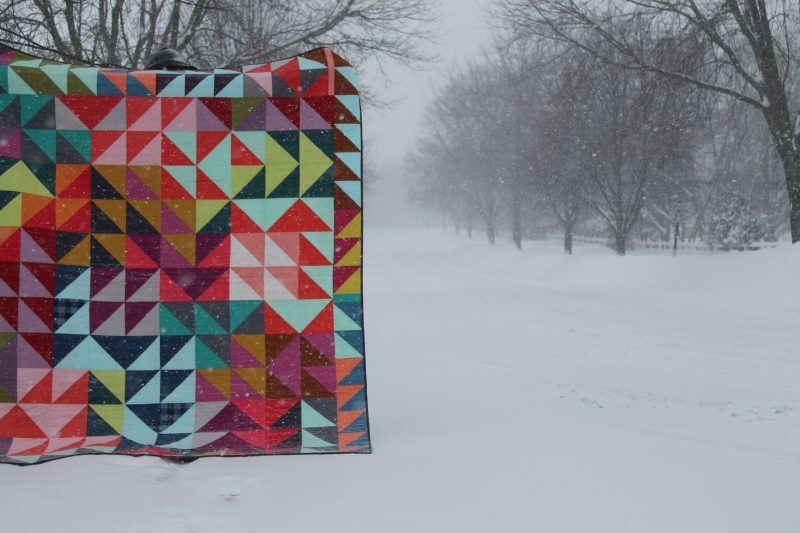 The weather finally obliged a couple weekends ago, and despite being bitterly cold, I couldn’t pass up the chance to get this bright and colorful quilt photographed against the start snowy background. Tired of seeing so many quilt tops hung in my closet, I’ve been making a good effort to make backings for them and actually get them quilted. I was paralyzed for a minute, feeling I needed a different (new! fun! exciting!) quilting design for each, but after going through a pile of older quilts, realized that I’m really quite drawn to the ones with simple straight lines, so that’s what I’ve done here. I always love how it looks. This quilt top is one I made way back here (2016!). I always love the look of a hst quilt, especially one in solids, so naturally this one is a favorite. It’s bright and cheery and a good antidote to our current chilly temps! I found the perfect backing in my stash – this great floral print by Anna Maria Horner, and even took the time to piece the backing neatly to make it almost appear seamless. Sometimes those extra steps are worth the effort. I bound it in a dark charcoal solid also from my stash and am quite pleased to have this out of the closet and into the finished pile! 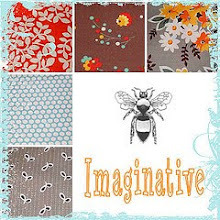 This entry was posted in [search] HST Quilts, Fabric, Finished Quilts, Posts about Quilts, Quilts and tagged handmade quilt, hst, lap quilt, quilt, solids quilt. Bookmark the permalink. 28 Responses to a snowy start to 2019! So good to see your posts again! I am under Lake Effect assault right now in Buffalo. I just love your quilts and hope to see more. I have lots of tops also that need quilting. Wonderful quilt! I can see why you wanted to photo this against the snow, it looks fabulous. I remember this quilt because I just love the colors! I adore the snowy day photo shoot. Worth the wait! Gorgeous quilt, gorgeous photos – I think your work is amazing, all the more so with your young children. Please keep blogging to inspire the rest of us! That looks lovely, especially against the snowy backdrop! 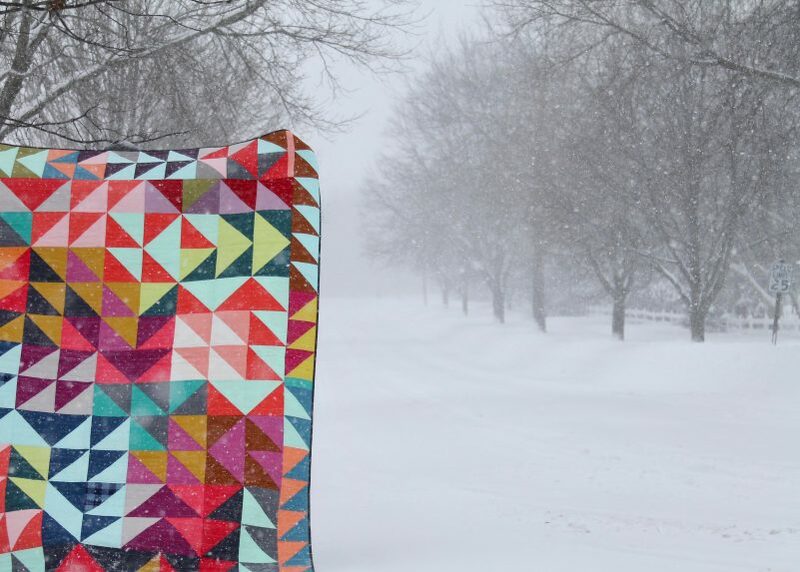 Your bright, cheery quilt is a treasure to behold, especially as many of us are home bound and staying warm during this polar vortex! Thanks for sharing this beauty with us. Love this quilt. It’s so vibrant. Enjoyed reading your blog about it. Thanks for taking the time to post about finishing your gorgeous quilt. I love the pictures in the snow. 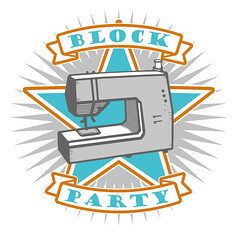 You are one of the first quilters that I started following. Thanks for those beautiful colors in my grey week, you made my day ! Good luck with all de quilting. Such a beautiful color palette and I didn’t remember those ginghams by C&S. Glad you braved the cold and saved this one for a snowy day. 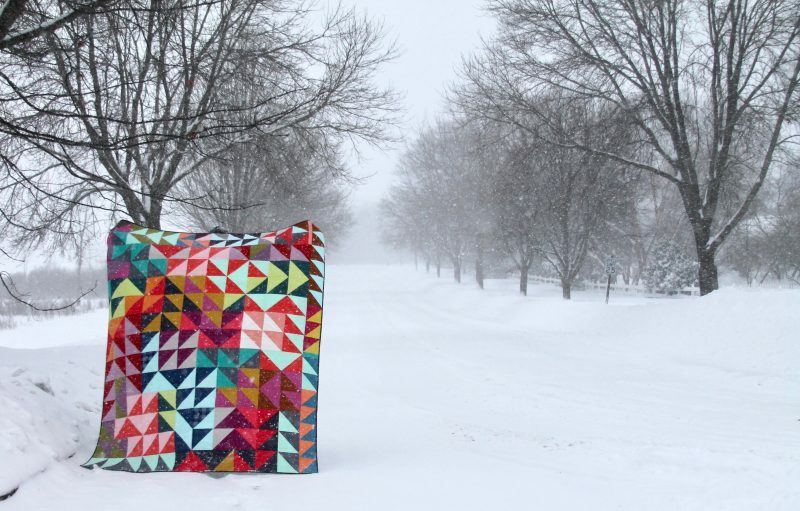 The snow is the most perfect backdrop for your glorious quilt!!! It just sparkles! It was fun to see your post in my inbox, and then to see the beautiful quilt. Great photo too, but I bet it was a quick shoot! We are sitting at about -27 here this morning. It’s been kinda frigid here the last few days, makes for great quilting! I absolutely love this quilt!! And I’m so glad you waited to photograph it against the snow – beautiful shots! I often stress over trying new quilt designs, but like you really seem to love the ones with straight lines the most – so that usually wins for me 🙂 Congrats on a fantastic finish. Such a warm and bright spot! HST quilts are so fun. It’s gorgeous, Ashely! I can see why you had to photograph it in a snow storm. Great contrast. 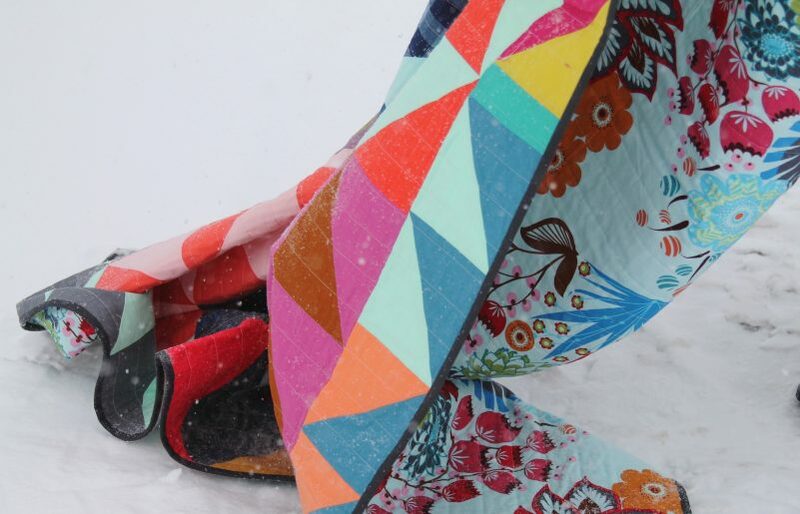 Your quilt and the snow are mesmerizing. Beautiful photos! Wish my quilts were as young as yours (2016). You are inspiring me to pull the old ladies and get them quilted. Beautiful quilt and the backing is perfect! No snow but in the 20-30’s in SC. Once in a while I do miss a snow day, but only for a few minutes! Fantastic photo shoot! Your quilt looks amazing! Congrats on getting it out of the closet and ready for cuddling!!! It looks so beautiful in the snow. I love the 1/2 square triangle quilts as well. It’s beautiful and the snow is a perfect backdrop. I love HST quilts but have only made one. Must fix that. Keep warm!!! What a great quilt. Big ‘n Bold….. I love it. That quit just sings in the snowstorm! Thank you for braving the elements —and to your helper(s) too — to bring us these gorgeous photos. Hope things are getting better up there. Love it, Ashley! and yes straight lines, love those too! That backing tho’ MMMMMM!